The average cost of memory care in Staten Island is $4,437 per month. This is lower than the national median of $4,650. Cheaper nearby regions include West Orange with an average starting cost of $4,359. Caring.com has helped thousands of families find high-quality senior care. To speak with one of our Family Advisors about memory care options and costs in Staten Island, call (855) 863-8283. Over 400,000 people living in New York have Alzheimer’s disease. Staten Island, a borough of New York City, has a population of 480,000. According to the Census Bureau, 15 percent of that population is over 65, and many of those seniors may have dementia. New York City has an Alzheimer’s Association with support groups and events throughout Staten Island to help caregivers and seniors with Alzheimer’s deal with the disease better. There are two memory care facilities within Staten Island and several in nearby areas, including Brooklyn, Kew Gardens and Forest Hills. 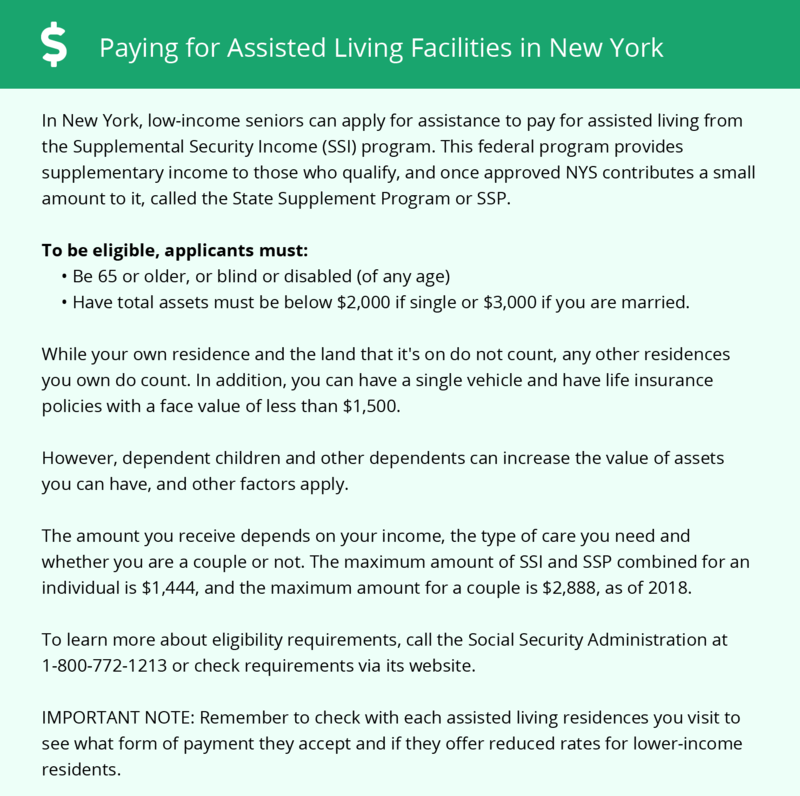 In New York, these facilities are called Special Needs Assisted Living Facilities, and the New York Department of Health licenses and regulates them. Staten Island has a very high cost of living. The city average for housing costs is almost triple the average of the United States as a whole. Transportation costs, which include the price of gas and public transportation, are double the country average. This could make it difficult to for families to afford a memory care facility for a loved one. Staten Island sees all four seasons, with summer highs reaching an average of 86 degrees and winter lows falling to an average of 25 degrees. This climate may not be suitable for all older people because extreme hot and cold temperatures can be dangerous for seniors. According to the American Lung Association, Staten Island has the worst ozone pollution of all the New York boroughs. People over 65 are more susceptible to asthma or lung disease caused by breathing bad air, and their conditions could be adversely affected. The National Air Toxics Assessment gives Staten Island an air quality rating of 44. This is a bit below the national average of 58 — the lower the number, the worse the air. Staten Island is home to Staten Island University Hospital, a world-class medical facility that offers brain health and dementia care. Richmond University Medical Center is also here, in the event of emergencies or illness. Memory Care costs in Staten Island start around $4,437 per month on average, while the nationwide average cost of memory care is $4,799 per month. It’s important to note that memory care rates in Staten Island and the surrounding suburbs can vary widely based on factors such as location, the level of care needed, apartment size and the types of amenities offered at each community. Staten Island and the surrounding area are home to numerous government agencies and non-profit organizations offering help for seniors searching for or currently residing in an assisted living community. These organizations can also provide assistance in a number of other eldercare services such as geriatric care management, elder law advice, estate planning, finding home care and health and wellness programs. To see a list of free memory care resources in Staten Island, please visit our Assisted Living in New York page. Staten Island-area assisted living communities must adhere to the comprehensive set of state laws and regulations that all assisted living communities in New York are required to follow. Visit our Memory Care in New York page for more information about these laws.